On the occasion of Independence day, makers of Paltan unveiled a new poster celebrating India’s pride & honour. 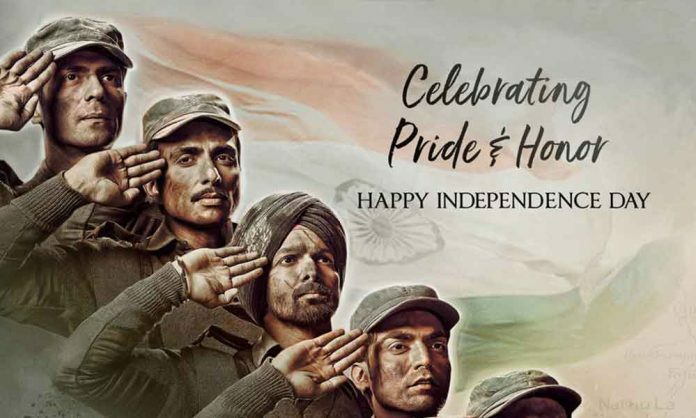 The new poster showcases all the lead actors Arjun Rampal, Gurmeet Choudhary, Harshvardhan Rane, Siddhanth Kapoor, Luv Sinha and Sonu Sood are in the army uniform and saluting the motherland. With the backdrop of war, the poster looks gritty and brings out the patriotism in us. Zee Studios and J P Dutta films upcoming war drama Paltan starring an ensemble cast of Arjun Rampal, Sonu Soon, Gurmeet Choudhary, Harshvardhan Rane and Siddhant Kapoor amongst others, Paltan will complete India’s biggest war trilogy. 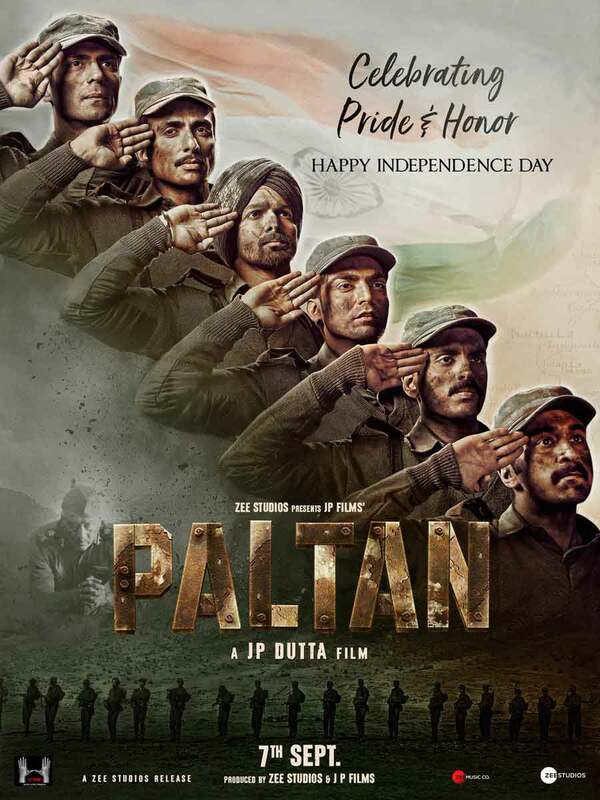 Based on the Nathu La military clashes of 1967 which took place along the Sikkim border, Paltan showcases on the untold story of the Indian forces facing off in an intense battle of ward off a Chinese infiltration. Renowned filmmaker JP Dutta returns to direction after 12 years with Paltan. The national-award winning director had earlier treated the audience with war films like the border, LOC Kargil, and Refugee among others. With power-packed performances, the film promises to tell the riveting, untold story of the bravest of Indian soldiers who fought with their brothers next to them till the end. Presented by Zee Studio and produced by JP Dutta films, ‘Paltan’ is directed by JP Dutta and is slated to release on 7th September. Previous articleBox Office: Gold To Become Akshay Kumar’s Highest Opening Day Ever!